A transfer of assets outright may not be the best solution as this has been known to create undesirable outcomes. In the case when planning to avoid probate and conservatorships, it makes more sense to use an irrevocable trust. In many cases, the biggest and/or most important asset to be transferred is a home. An outright transfer could cause problems: if it ever becomes necessary or desired to sell the property to buy a new one elsewhere, this can be difficult. Also the new owners might lose the residence to creditors or divorce or sell it on their own. That’s why it may be preferable to use an irrevocable trust to ensure protections and flexibility in planning. This can be done using lifetime retaining benefits held by the transferor. There are benefits to using an irrevocable trust to manage the house transfer. 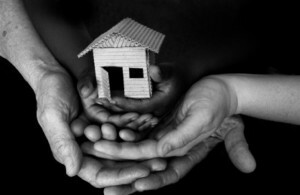 First, the residence is protected from the threats of creditors or ex-spouses of death beneficiaries or the trustee. Second, if there is interest or need to sell the home to acquire a new one, the trustee can navigate this move fairly easily, If drafted properly. To talk more about how to plan for the transfer of your home, we can help. Email us at info@lawesq.net or contact us via phone at 732-521-9455.